New York City may become the first to implement a minimum wage for Uber drivers and others who find fares using a ride hailing app. Drivers in the private hire and taxi business in the state say they are not making enough money to pay their bills and support their families which many in the UK may find familiar. 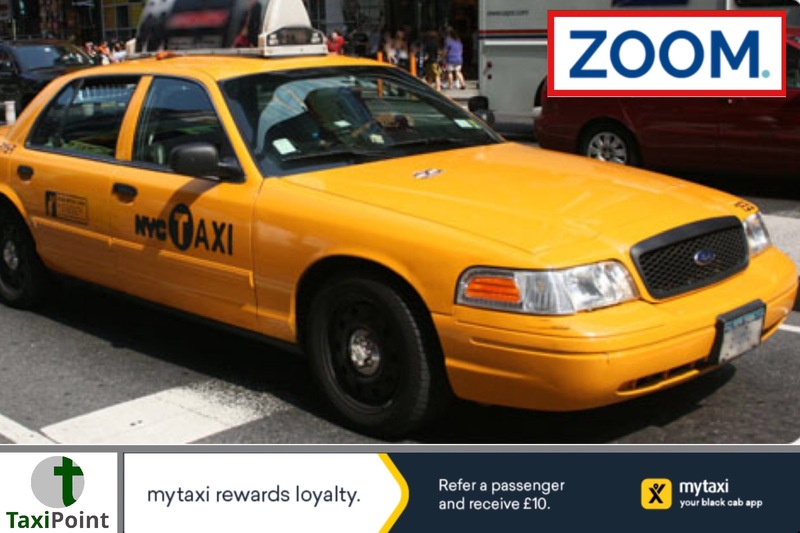 According to the New York Times, six professional drivers have killed themselves in recent months.The move will be welcomed by those struggling to deal with the industry shift towards the gig economy, with many yellow cab drivers saying they have been left in financial ruin and decimated the industry.The proposed rules from the Taxi and Limousine Commission were outlined in a study released on Monday (1st July) and seeks to address the price differentials in Uber’s business model: that their rides are often cheaper than taxis but that many of its drivers are struggling to make a living after the company takes its cut.“Their low pay has persisted despite the rapid growth of the industry,” the study said.The report suggests that if a driver’s earnings fall below $17.22 per hour over the course of a week, the companies would be required to make up the difference. It found the median net hourly earnings were $14.25. To combat this shortfall, the study suggested companies could increase hourly take home by lowering their commission rates, currently about 10 to 25 per cent of the fare.This is not the first time a city has tried to deal with how to regulate Uber. In South Africa, strikes are taking place and in London Uber took Transport for London to court over its decision not to renew its operating license.Seattle was the first city to approve a law allowing Uber and app drivers to form a union but this is facing a legal challenge. The mayor of Honolulu recently vetoed a bill to cap price surging by Uber during peak periods.The New York pay rules would apply to four major car service apps — Uber, Lyft, Via and Juno — all of which provide more than 10,000 trips each day in New York.“This is an important step in addressing one of the many pressing challenges that face the for-hire and taxi industries today,” said the taxi commissioner, Meera Joshi.Unsurprisingly, Uber said it had major concerns over the study and its findings. Spokeswoman Alix Anfang said the company was concerned the increased earnings for drivers would be passed onto the customers rather than Uber themselves lowering their commission.The study uncovered statistics showing that about forty per cent of drivers have incomes so low they qualify for assistance with healthcare, called Medicaid, and about 18 per cent qualify for good stamps. Some drivers feel they were duped into the industry and promise of good wages, stumping up $5000 for vehicles and now being trapped in a debt cycle.A spokesman for mayor Bill de Blasio said the city wouldn’t “move in any direction until we review the report and the mayor makes a decision” but that the mayor supported a “comprehensive package” to address the challenges facing the taxi and for-hire vehicle industry.It is not the first time the politician has tried to start a battle with Uber: in 2015 he tried to put a cap on the number of vehicles in the city and found himself the subject of an aggressive campaign by the company.At the heart of the study is a proposal to make drivers using ride hailing apps more efficient, driving a greater proportion of the time. This is to combat a current inefficiency, say the report’s authors, which was created bThis oversupply is a key factor in depressing wages, which in the UK means that drivers are subsidised by in work benefits and other assistance measures whilst Uber itself does not pay a large amount of tax.The study, which relied primarily on data collected from the companies by the taxi commission, was written by Dr. James Parrott, of the Center for New York City Affairs at the New School and Professor Michael Reich, of the University of California at Berkeley.But despite the calls for a minimum wage the report was not welcomed by the Taxi Workers Alliance, which was disappointed that the general pay structure of Uber and other companies has been accepted.Their lawyer, Zubin Soleimany, said it was this which has created a race to the bottom that hurts both app drivers and taxi drivers. The TWA would instead prefer the apps to charge the regulated taxi fare at a minimum, and giving drivers a guaranteed percentage of that fare.Other researchers have also found that app-based drivers make low wages. A study earlier this year by the liberal Economic Policy Institute, relying on data released by Uber, showed that the company’s drivers make about $11.77 per hour on average nationally, after deducting Uber’s share and vehicle expenses.